These initiatives have ensured that our guests are not only having the best possible experience, but also that our properties are constantly working towards a greener world. 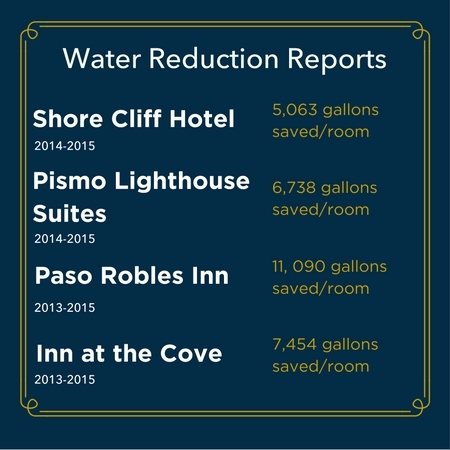 We have received amazing feedback from our guests regarding these programs as we work hand-in-hand to conserve water! 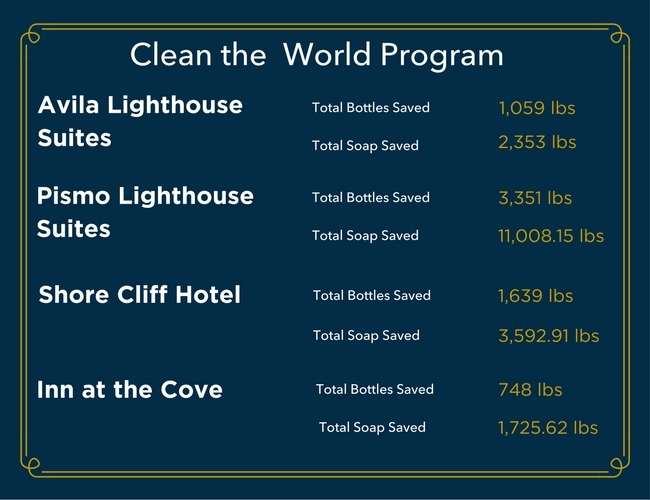 Since 2011, Martin Resorts has also been a part of the Clean the World Program. This foundation saw a need to help the many people affected by disease and illness related to a lack of access to hygiene products and medical systems in developing countries. In order to help save lives, Clean the World provides soap, healthy water, sanitation, and hygiene to those in need. Through hospitality partners like Martin Resorts, the first hotels to implement this program in the area, products can be recycled to help fight the global spread of disease. This also helps reduce waste in local landfills, creating a more beautiful California! Martin Resorts is proud to support these programs and to make steps towards creating a greener Central Coast. We love seeing our guests contribute towards water conservation and encourage them to enjoy their stay at our properties to the fullest, knowing they are helping a great cause. To learn more about our water conservation efforts and other philanthropic endeavors, please visit our website: www.martinresorts.com/about/philanthropy!